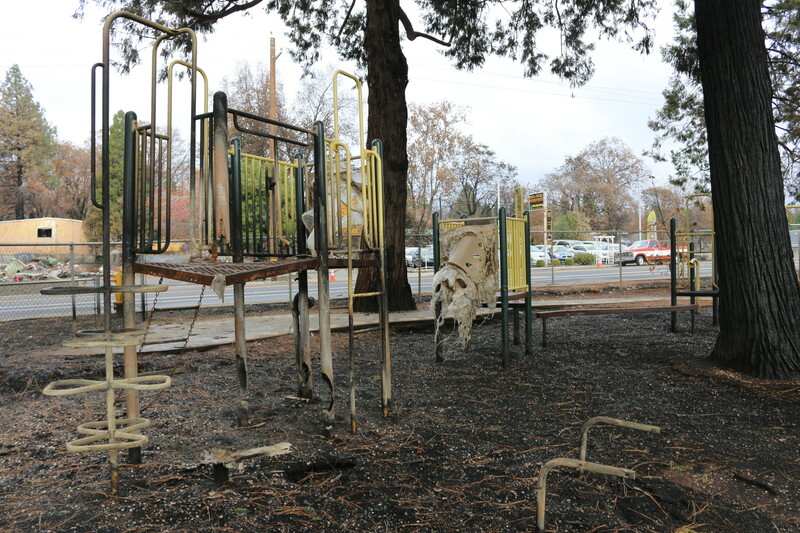 Students in Butte County have been out of school for almost a month — ever since the deadly Camp Fire started in early November and left many of their school buildings seriously damaged or completely destroyed. "I'm a little bit nervous," says student Nevaeh Nichols, who was waiting outside with her mom, Megan. "I might not see any of my friends. I saw some of my friends, but I didn't see all of my friends." 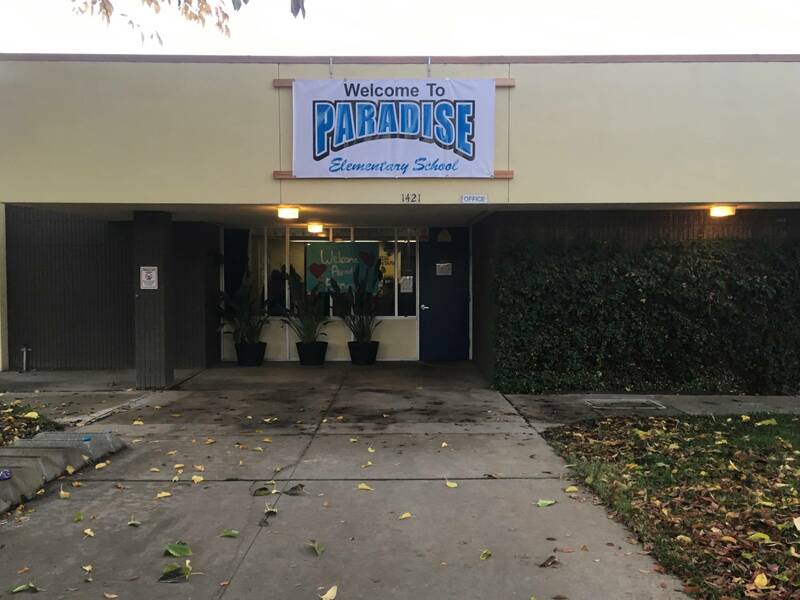 That's because, according to officials from the Paradise Unified School District, only 250 of the 500 students enrolled in Paradise Elementary are expected to return. Others are staying with relatives or have moved out of state. District officials have made it a priority to ensure students are placed back in classrooms with their same teachers. That's why they're busing students from all over the county to this school. Paradise Unified Superintendent Michelle John says Paradise families brought their kids from as far as Redding and Sacramento, just to keep them with their teachers. 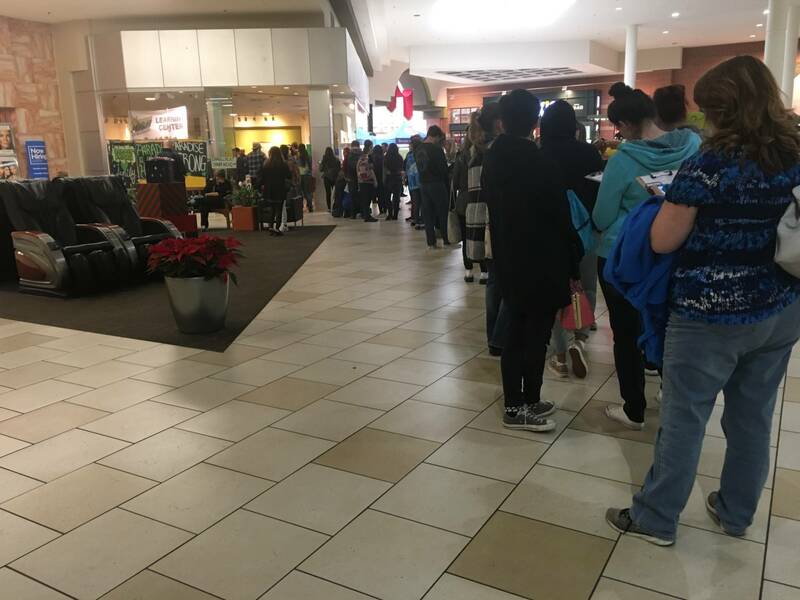 But while some students are physically relocating across the county, students at Paradise High School will instead be attending classes virtually. 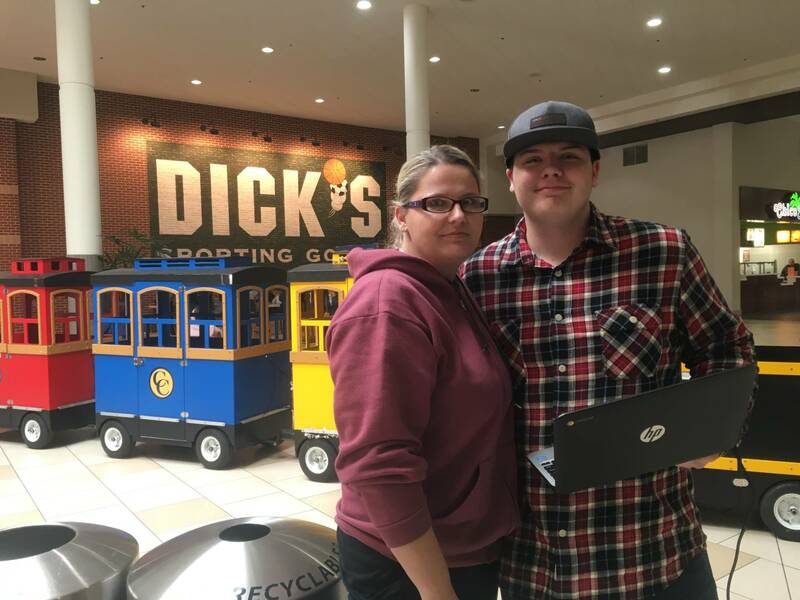 District officials have turned the Chico Mall into a kind of hub, where students can meet to work with teachers and counselors on their virtual assignments. But according to 17-year-old Bryce Russell, the best part is that he has reconnected with his friends.
" 'Cause now I live so far away — I live in Biggs. So, um, I don’t really get to see anybody," says Russell. "So now I’m here and I get to see everybody and it’s really cool." Russell's mom, Dawn, was there with him. She says that while she's glad to see him back to school, she didn't realize how hard it was going to be. "I didn’t think it’d be this emotional to be here today, to do this. But this is his new normal. And it hurts for me that this is his new normal." 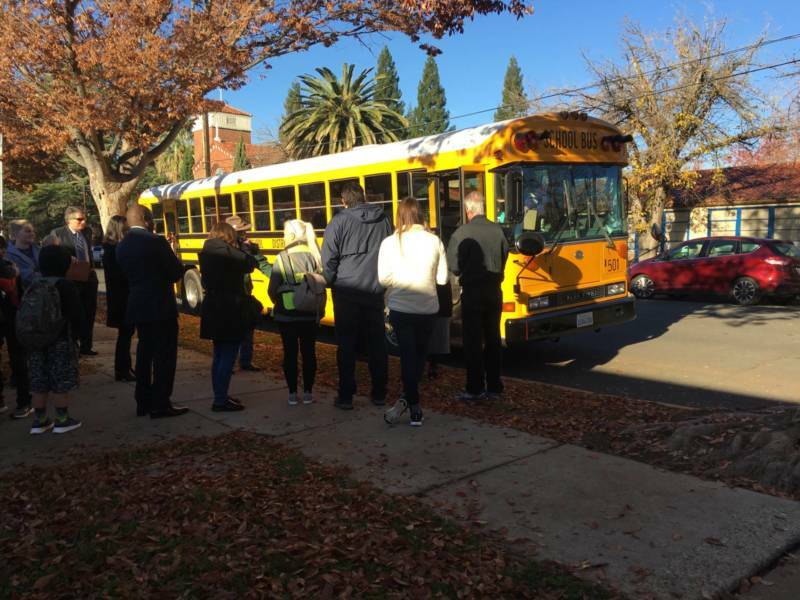 At a press conference with local officials, state schools Superintendent Tom Torlakson and Superintendent-elect Tony Thurmond said they would work to secure bond funding and federal grants for the impacted school districts to help them rebuild.